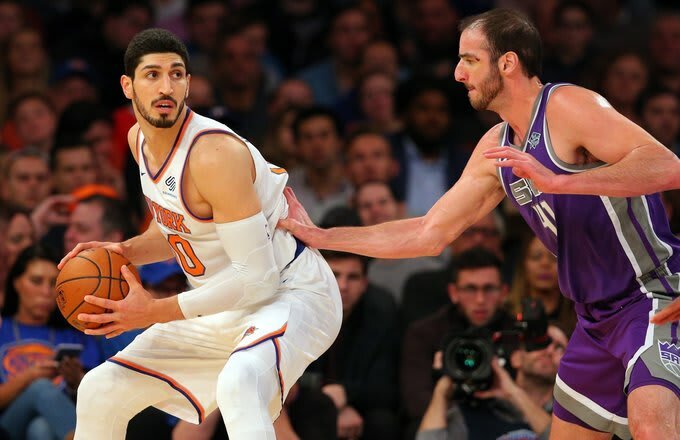 NBA player Enes Kanter faces up to 4 years and 8 months in prison on accusations of insulting President Recep Tayyip Erdogan on Twitter. State-run Anadolu news agency said on on Dec 20 that an indictment prepared following a complaint by Erdogan’s lawyers seeks between 14 months to 56 months for Kanter. Kanter is accused of insulting Erdogan in tweets posted on May 7, 9, 11 and June 2, 2016. “The douchebag deserves more,” Kanter mocked the indictment on Twitter on Wednesday.